The recent LA heat wave has me dreaming of summer and my closet has already started to go under a maj summer overhaul. Adding to my growing collection of swimsuits (this planet blue one is my jam!) and switching out my beauty products for something a little bit more al natural. This summer the motto less is more is what i'm all about! As of lately I love a dewy, glowing face. I swear by Dior Glow Primer, mix a pump of this into to your foundation brush to get your glow on! 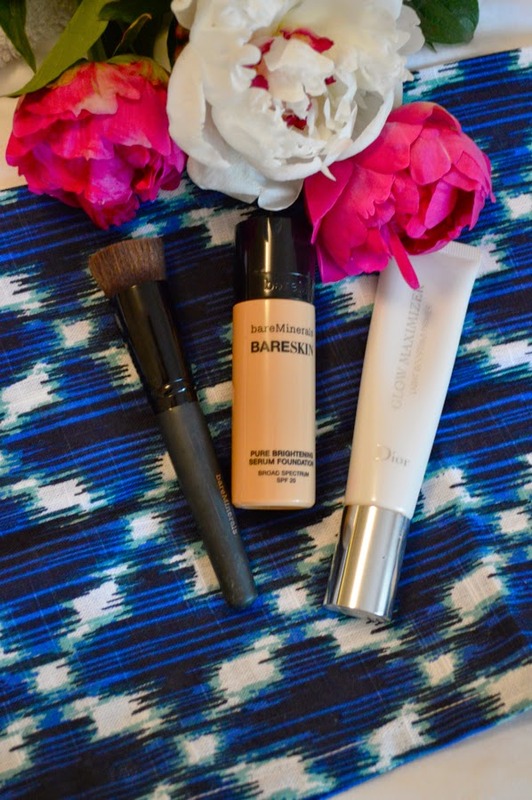 I'm currently into the Bare Minerals Brightening Foundation, it's lightweight for the warm weather ahead and has SPF 20! Something i've only started to do recently is switching up my daily staples, perfume and coffee, seasonally. It's something so simple but such a game changer! I've been in love with Le Labo's Santal 33 since forever and recently splurged, the warm sandalwood notes are ideal for summer. Another recent find is the Bottled Starbuck's ® Iced Coffee (vanilla is my fav), it's the perfect pick me up for when I don't have time to leisurely enjoy a cup of coffee.